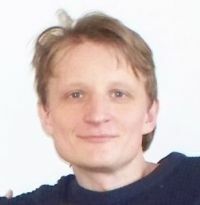 Konstantin Balashov, the author of PurposeMap, like many of us, was puzzled with meaning-of-life question. He was lucky to come across some men who started earlier and had a good progress there. These men, called guUru, were progeny of Genrich Altshuller, inventor of TRIZ. There were multiple attempts to adapt TRIZ for general-purpose problems solving. I would say, all of them failed. Even the one made by guUru. Well, they can use it themself, but cannot easily teach others, because it is way too complicate for understanding. Konstantin is currently trying hard to learn it to put it in simple words and prepare some easy lessons for others to study. The other big thing Genrich Altshuller and his team done is Life Strategy of Creative Person. It is a book about finding and achieving your big purpose. The book is great, but way too rough - it says, you have to sacrifice everything to serve people. guUru tried to make it a bit more creative-person-friendly. They say, there is a bias in life stories of the great people. Authors focus on diffiultcies too much to make these people like incredible heros. Other sources, however, say, that it was not that bad, and these great people had fun in their life, not just troubles. Konstantin went one step further and studied what elso can be done to make the life of creative person even more comfortable. One of his ideas if using internet technologies to build groups, or "clusters" of creative people and some thechniques to safe their time and speed up creative process. "(c) Konstantin Balashov, copied from http://purposemap.com"
"Nachni" in Russian means something like "go ahead and start it". The text there is somewhat different, but general ideas are the same.